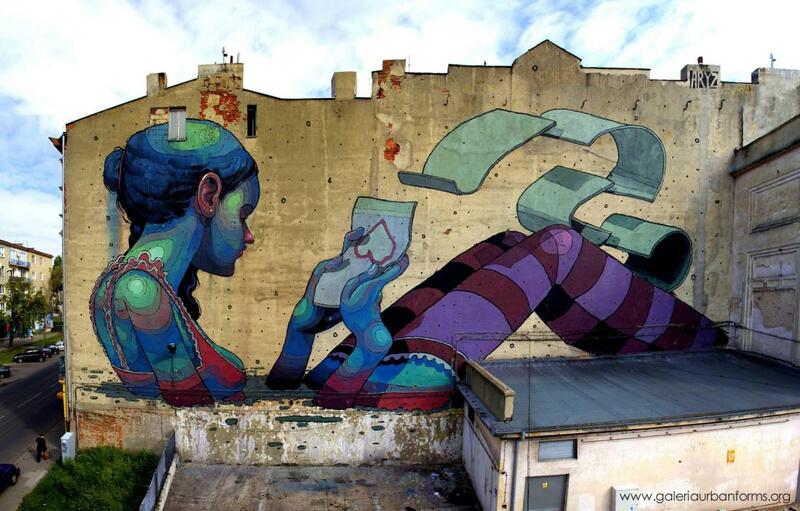 By Aryz and Etam Cru. 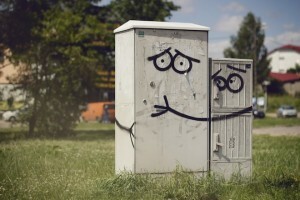 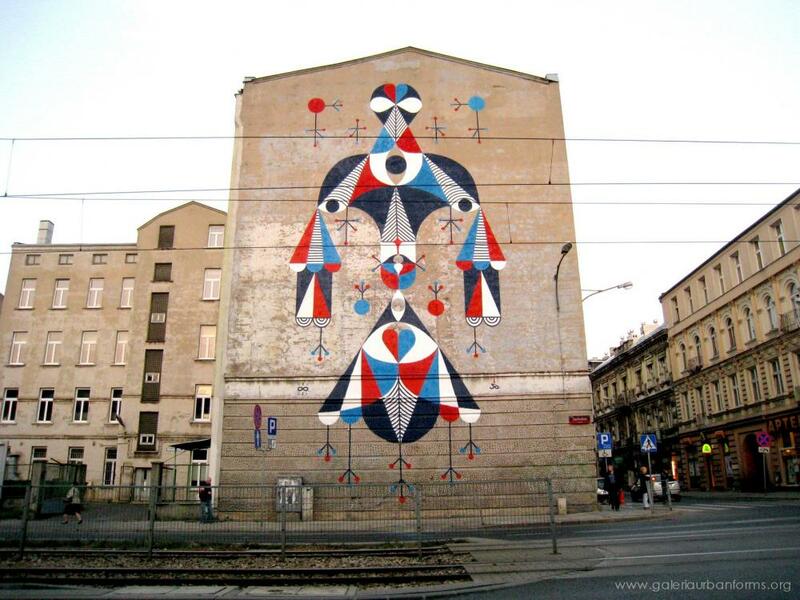 By Gregor and Chia Chia. 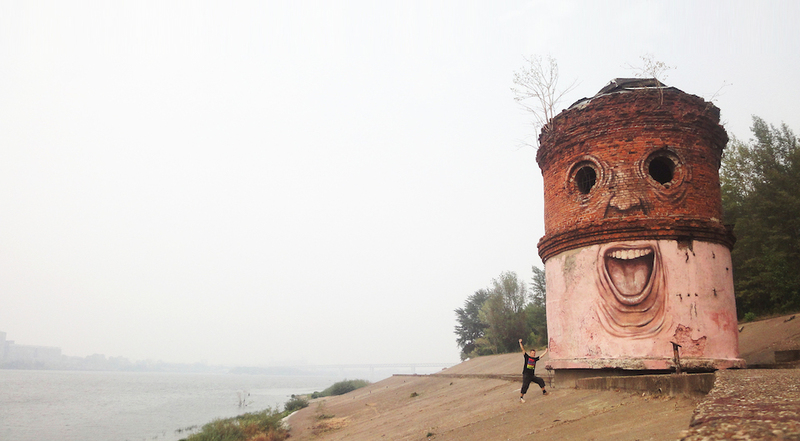 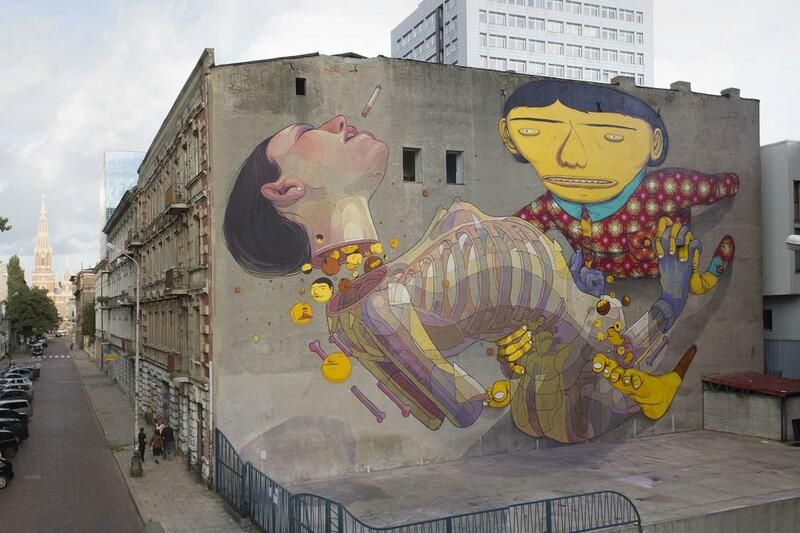 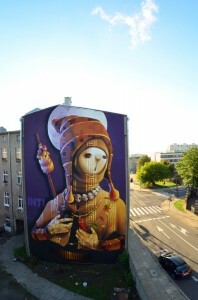 By Os Gemeos and Aryz. 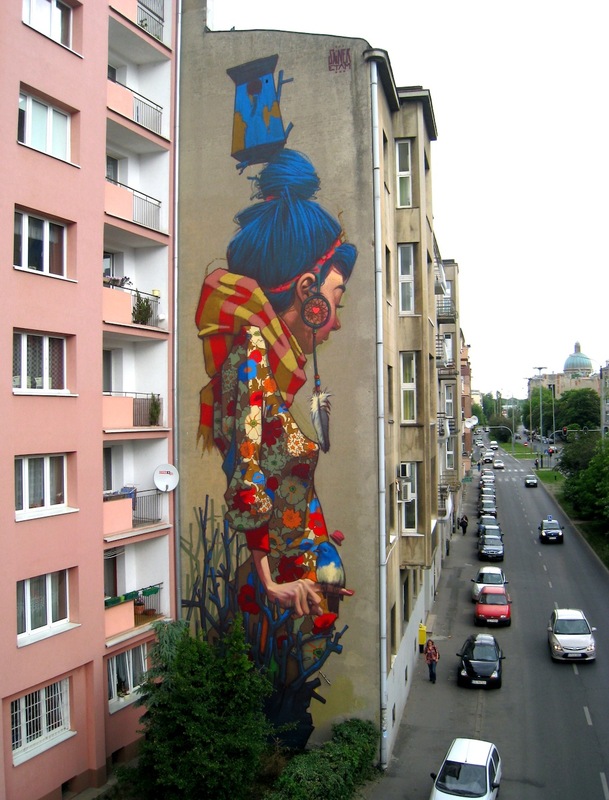 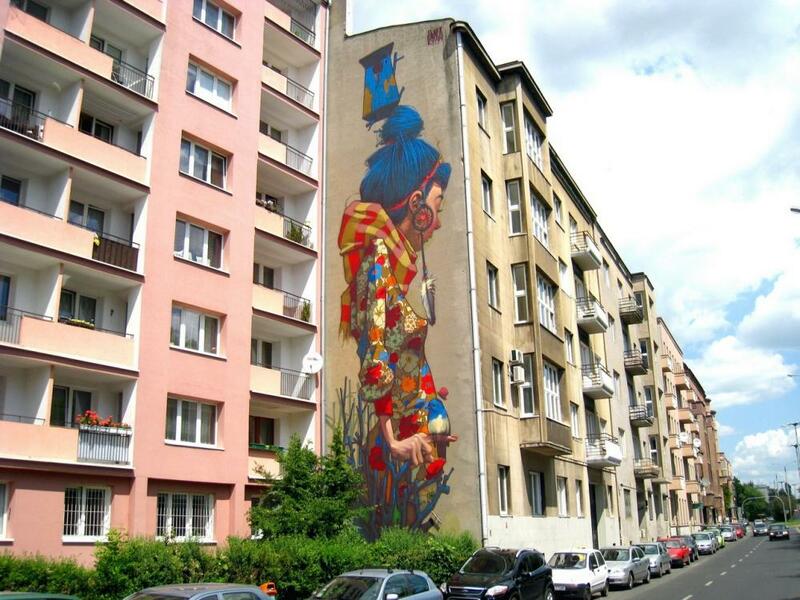 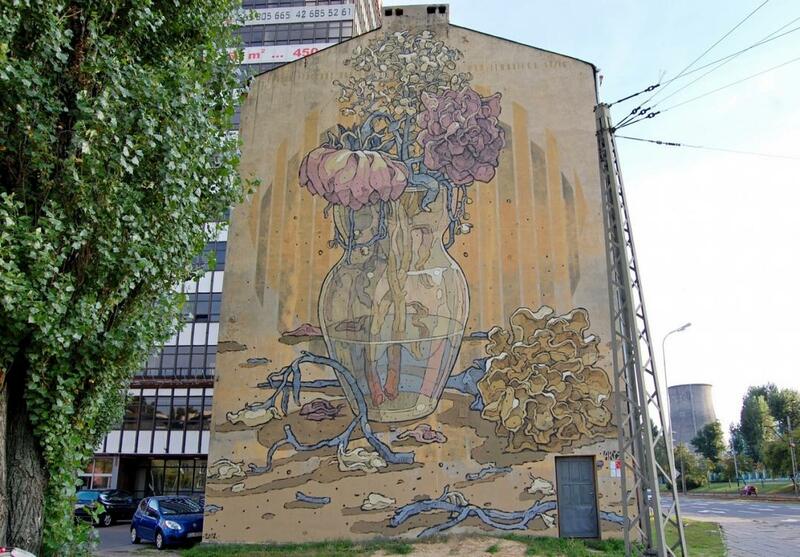 By Sat One and Etam Cru. 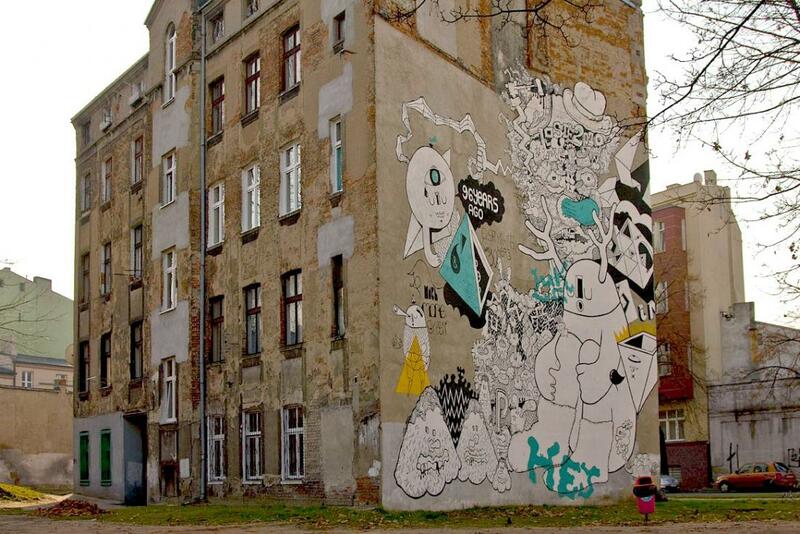 Urban Forms Foundation was created in 2008. 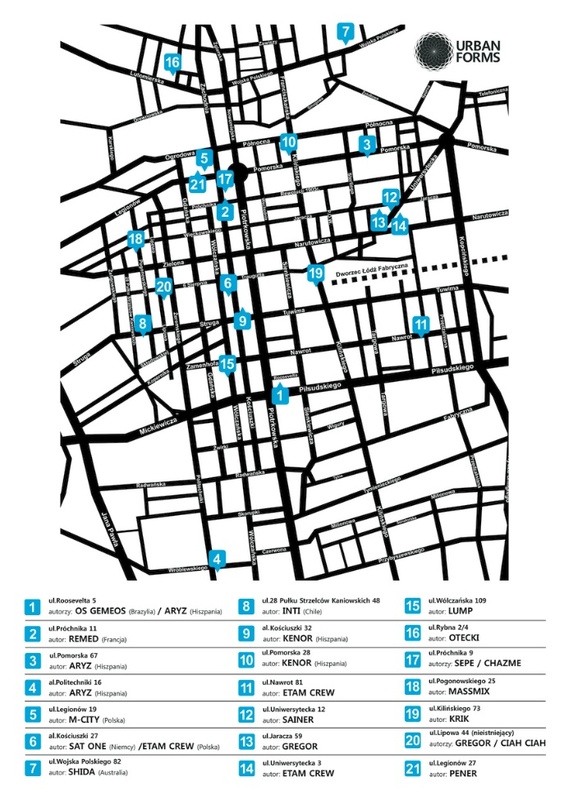 We focus on a broadly defined city culture and on organizing, promoting and supporting independent artists’ initiatives in a public space. 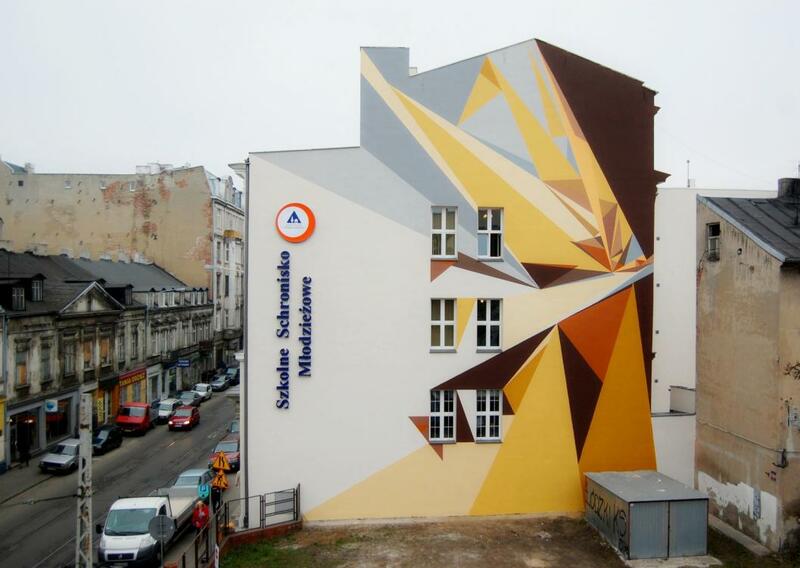 We want to change city space by raising its quality and aesthetics. 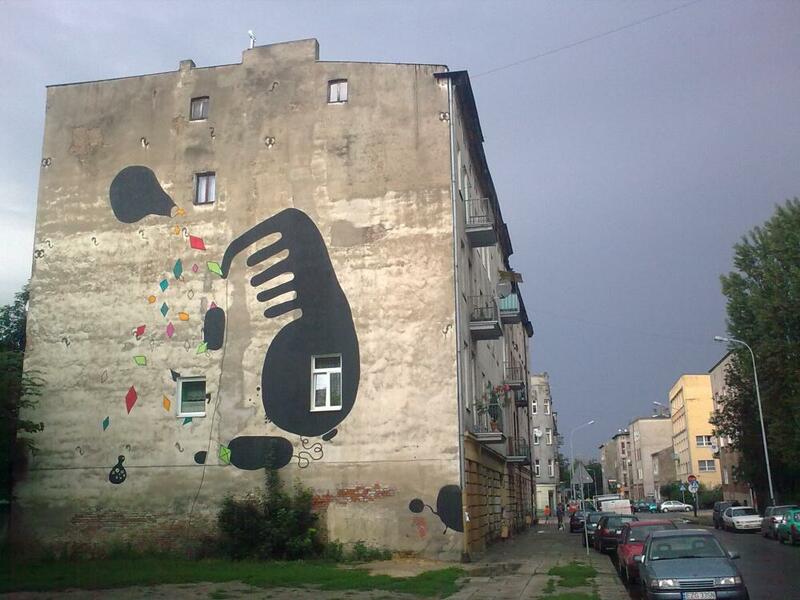 We find artistic activities as important tools in education and social revitalization. 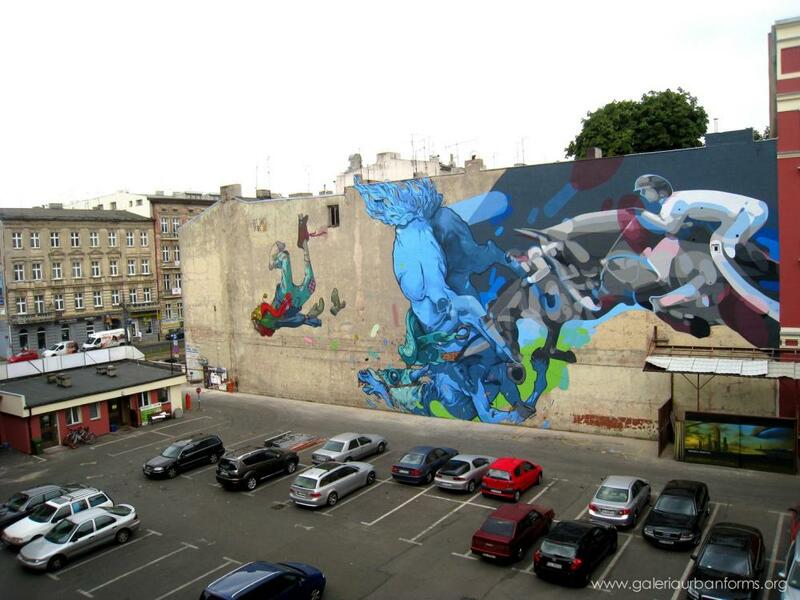 Urban Forms Gallery is the main project of the foundation. 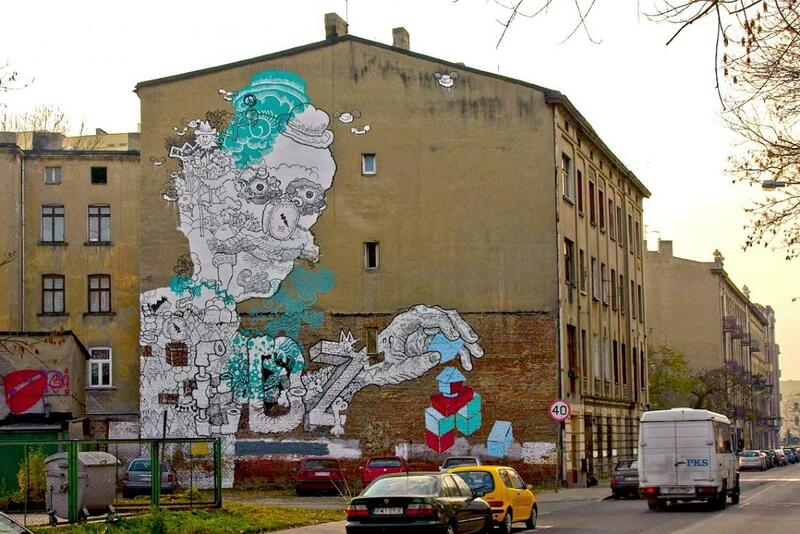 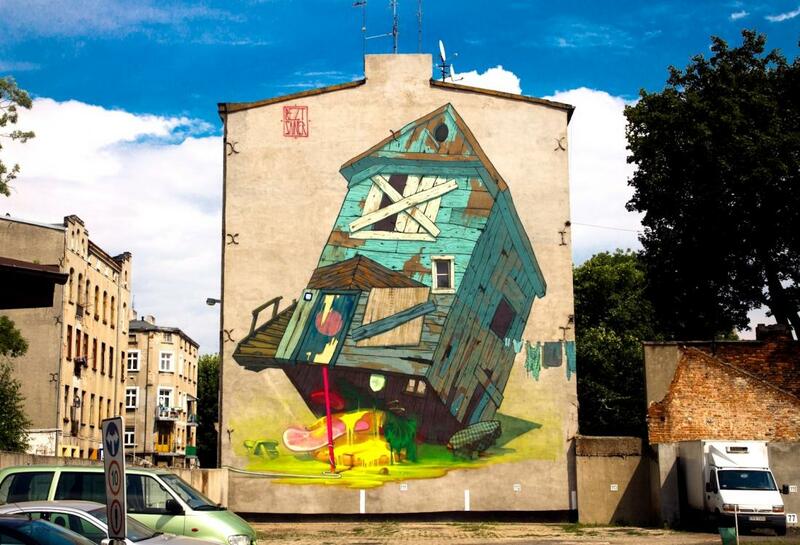 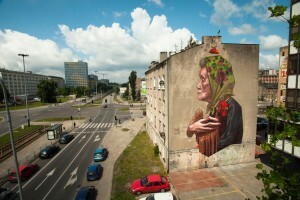 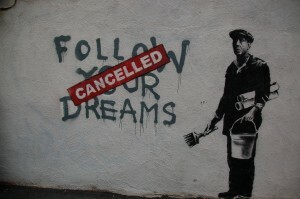 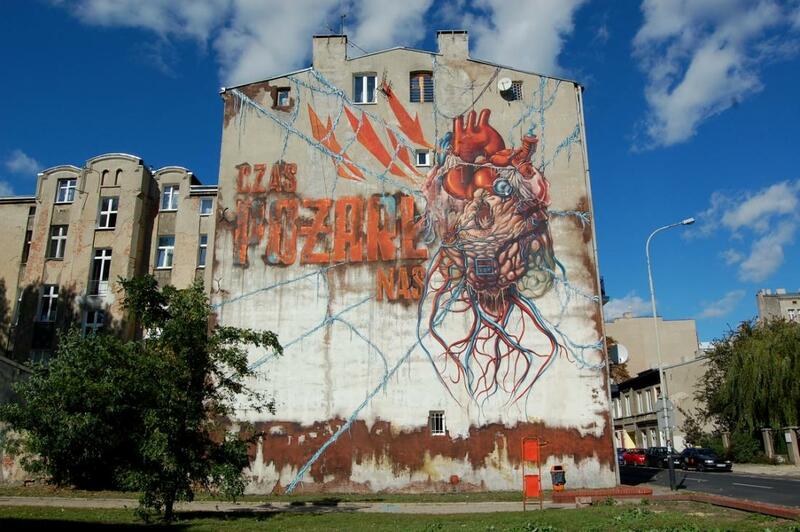 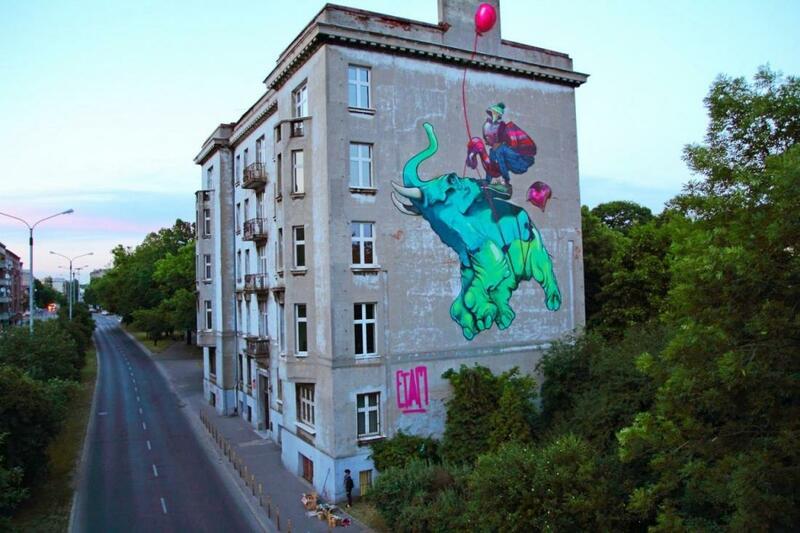 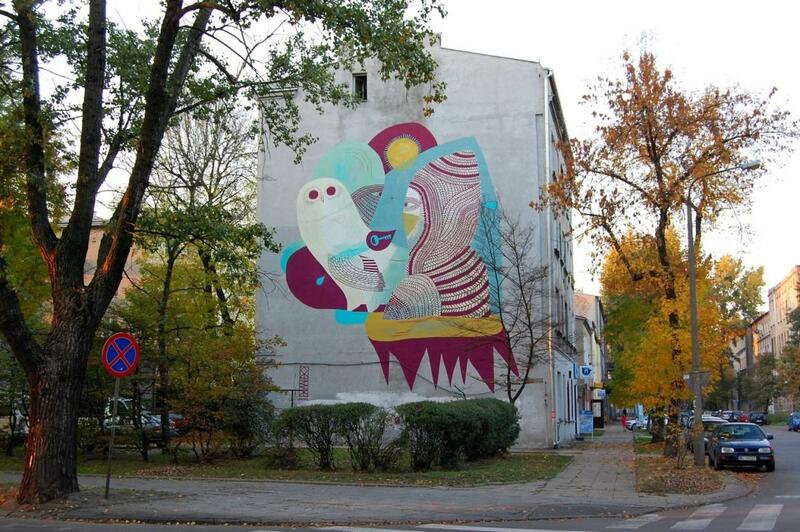 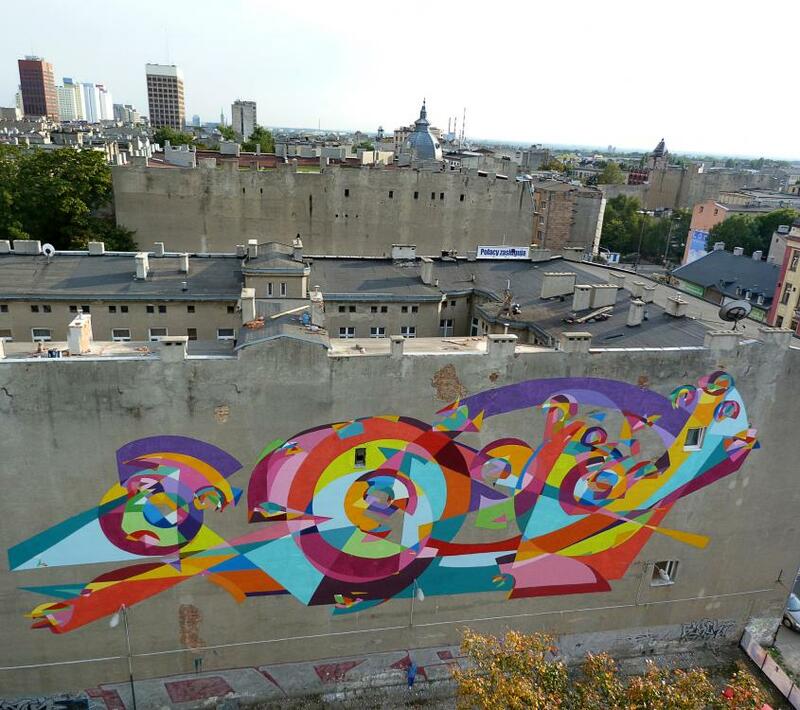 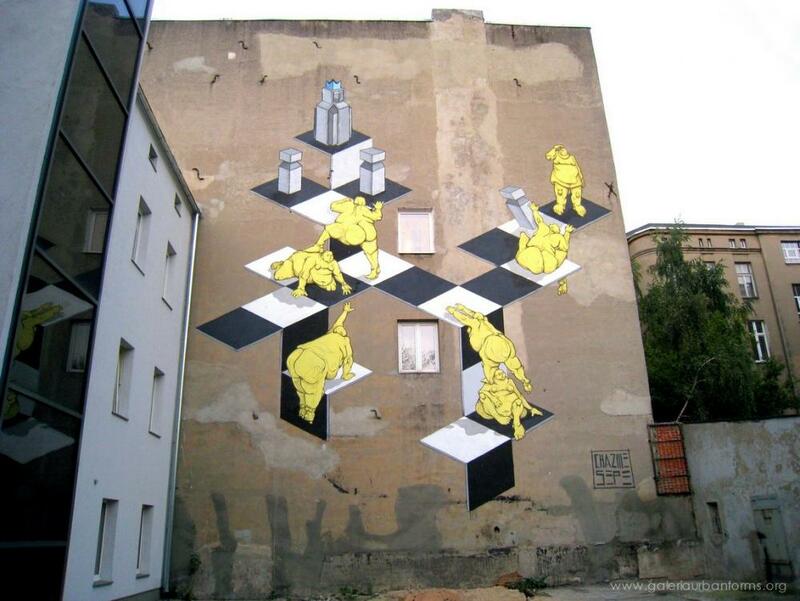 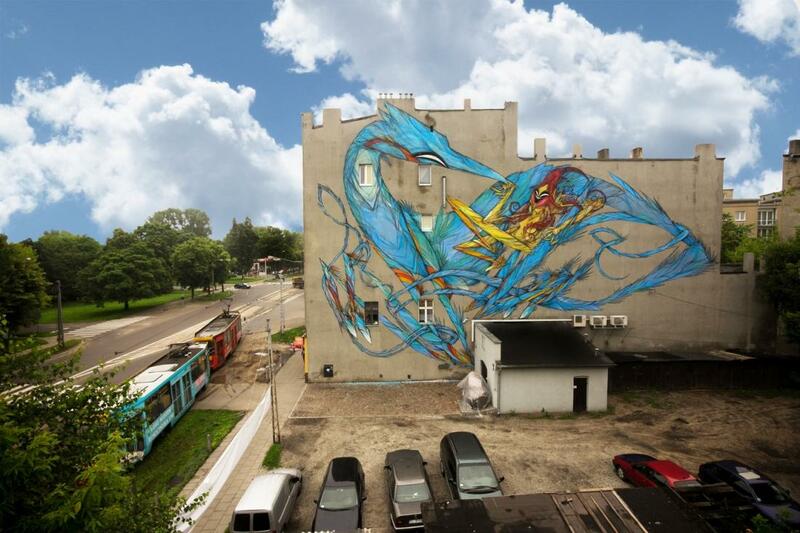 It is a permanent street art exhibition in a public space in Lodz. 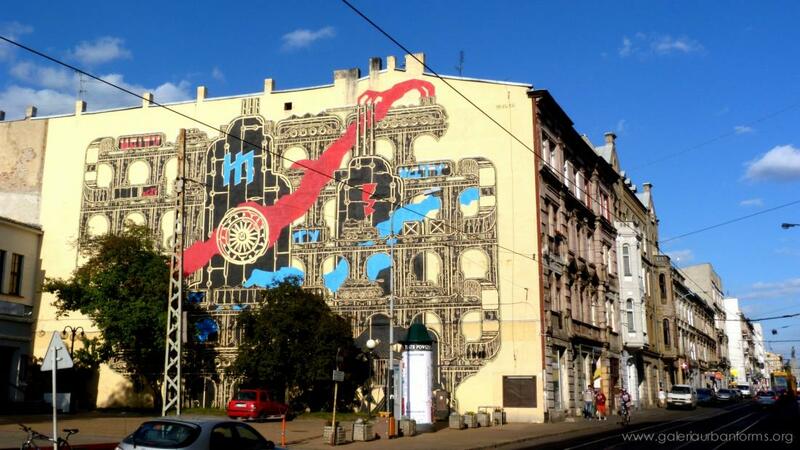 As for now, it consists of 21 large format paintings, murals, created directly on the side wall elevations of buildings placed in the city centre. 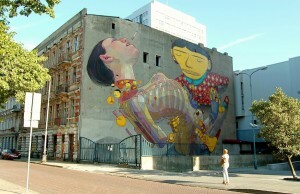 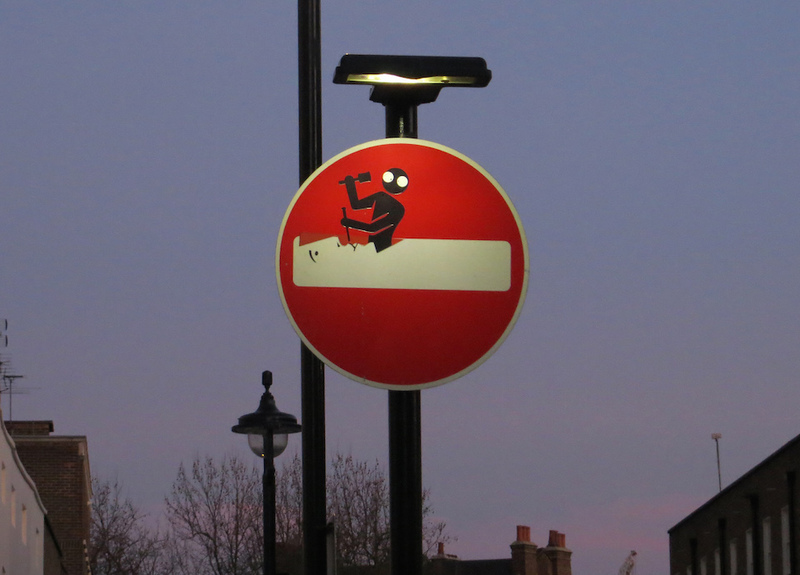 They form an artistic trail open to everyone: citizens and tourists. 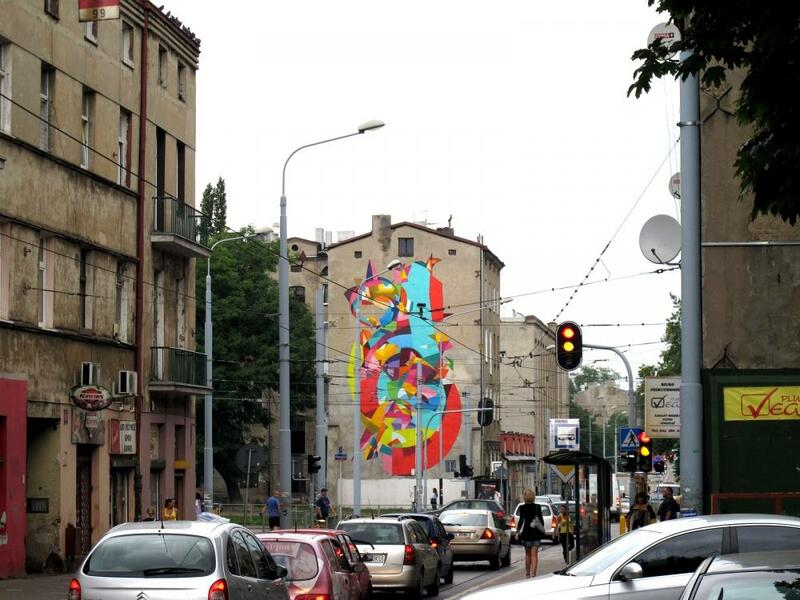 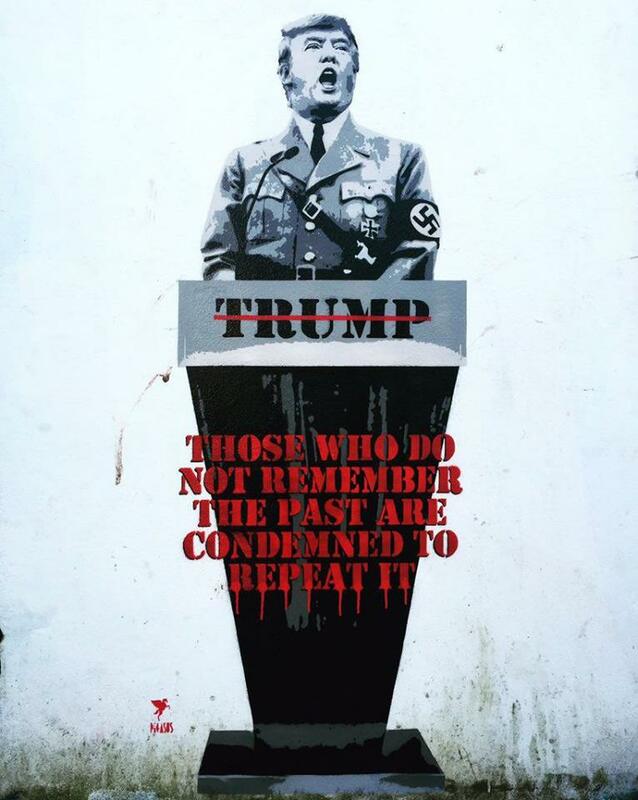 As taking care of the high artistic value of the whole undertaking is fundamental, we invite artists who are world leaders in creating street art in public spaces. 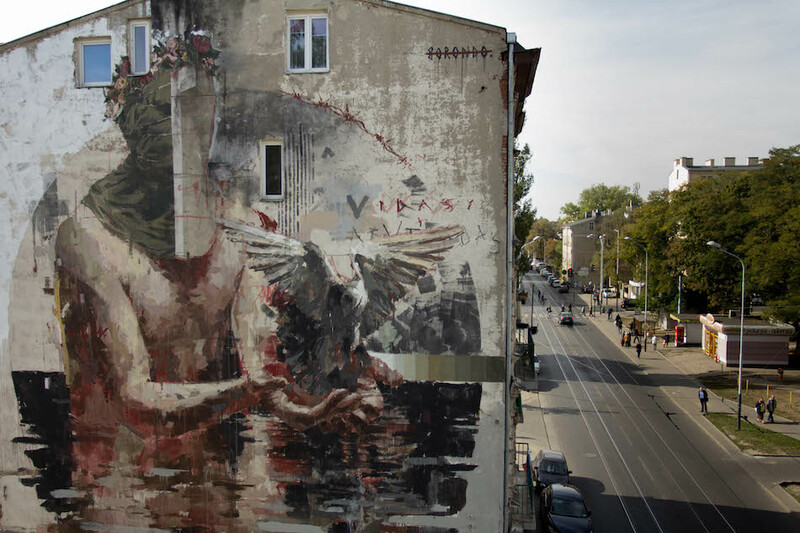 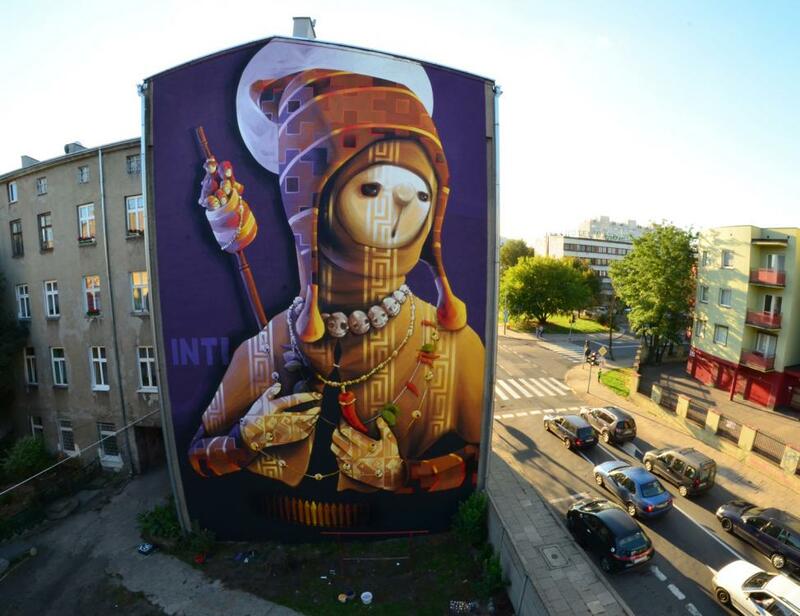 “Holy Warrior” – By INTI in Lodz, Poland.